As said by Jess C. Scott, today, “A fit, healthy body—that is the best fashion statement”. There is nothing more precious than a healthy body that helps you work round the clock helping you fulfill your dreams. Take initiative and don’t let the deadly and dangerous diseases take over you due to your mere ignorance about the small little changes that happen around your bodies. Take a step today towards your good health by having preventive tests and screening tests like PET CT scans that will help you in identifying the early symptoms of life threatening diseases like cancer. PET CT scan is an advanced nuclear imaging technique and is a combination of positron emission tomography (PET) and computed tomography (CT) into one single machine. This scan is used in diagnosis of many diseases like heart problems, brain disorders, problems associated with central nervous system and life threatening diseases like cancer. Unlike MRI and CT scans, PET CT scans provides information about both, structural and functional details of the organs and the tissues of the body at cellular and molecular level. The patient usually spends two to three hours at the imaging center including the 60 minutes resting time before the scan and the usual scan takes around 20 – 90 minutes depending upon the part of the body and the organ being scanned. The PET CT scanner is an “O” shaped machine, which looks very similar to a tunnel. The patient needs to rest over a table which is attached to the machine and the table slides into the scanner. The scanner has a high resolution gamma camera in-built that helps capture the images of the tissues and cells during the procedure. The scan uses a radioactive material mixed with glucose that is injected into the veins of the patient. PET CT scans are used in many fields of study but widely used in early detection and diagnoses of Cancer. The cancerous cells use more glucose than the normal cells. Hence they get highlighted under the PET CT scanner. The doctors then can see the highlighted damaged or cancerous cells and determine the size and grade of the tumor. The images are captured during a single session and with a high level of accuracy. This is a non-invasive, painless procedure and the time varies depending on the part of the body that is being diagnosed. Once the scan is completed, with the help of the images captured, the doctors can diagnose the problems and decide the appropriate treatment to be advised. The test can be repeated to have a check on how you are responding to the treatment and whether the treatment is working or not. Depending on the symptoms the scan may be repeated post treatment as well. Cancer is one of the top killer diseases in India and has turned out to be a very common reason of mortality today. A human body works and functions properly only when the cells divide and grow when necessary. But when there is a chaotic growth of these cells when it is not really necessary, the mass of these extra cells forms a tumor. A tumor may be not always be cancerous and are known as benign and are not life threatening. They can easily be removed with the help of surgeries and usually do not return back. But few tumors turn out to be life threatening and cancerous, these are known as malignant. Many a times these tumors prove to be fatal if not detected early and treated at the right time. Approximately one million new cancer cases are detected every year in India. According to The International Cancer Agency GLOBCAN the estimated projected incidence of cancer in 2020 is 1.25 million and for 2025 it is 1.50 million. There are different types of cancer that have proved their prevalence like, breast, cervical, oral, lung, stomach, colorectal, pharyngeal, esophageal, laryngeal, leukemia, prostate, and liver. Delhi has shown some alarming figures relating to cancer and a recent survey of cancer says that Delhi has the highest cancer incidence in India. Like the other major cities, Delhi has a Population based Cancer Registry that registries and records all the new cancer cases occurring in a defined population with epidemiological and public health aspects. According to the stats of this registry, Delhi records maximum cancer incidences with 27 PBCR and 19,746 cancer cases. The data from PBCR also showed that breast cancer is the commonest cancer among women of Delhi and breast cancer accounts for 28.6% of all cancers. Few decades ago, breast cancer was found to be common after the age of 50 and the numbers of young women suffering from this disease were lesser. Almost 65% to 70% patients were above 50 years and only 30 to 35% women were below 50 years of age. But today, the cases have reversed their incidence and breast cancer is more common in the younger age group and almost 50% of all cases are in the 25 to 50 years age group. Delhi faces a huge problem of air pollution. And the alarming result of this disturbing air pollution problem in Delhi is the incidence of Lung Cancer. The second common form of cancer in Delhi is Lung Cancer. One in every 5 patients diagnosed with lung cancer in Delhi are non-smokers. Dr P K Julka, professor of oncology at AIIMS, on the eve of World Cancer Day said “Till about a decade ago, less than 10% of all lung cancer patients were non-smokers. This percentage has now gone up to around 20%, which is significantly high. Rising pollution levels may be playing a role,”. Cancer is a chronic life threatening disease and the cure and treatment of the disease becomes difficult if not detected early. Few realize that timely diagnosis and treatment can cure most types of tumors and cancers. At present, doctors say survival rate for most cancers stands still at 20% because a majority of the patients come to the doctors when the disease is already in the advanced, or III and IV, stages. “If cancer is detected early, 80% patients can be cured of the disease,” said Dr GK Rath, chief of AIIMS’ cancer centre, the Bhim Rao Ambedkar Institute Rotary Cancer Hospital. To end this distress, PET CT scans are picking up popularity among common people which help in early detection of diseases like cancer. PET CT scan has time and again proved to be a boon in cancer diagnosis and has helped the doctors locate different tumors at different locations at once during a single session of a PET CT scan. It has helped the doctors locate tumors in the brain, head, neck and other parts of the body. It has also been helpful in diagnosis, staging, and monitoring treatment of cancers, particularly in Hodgkin’s lymphoma, non-Hodgkin lymphoma, and lung cancer. Helps the doctors detect and diagnose life threatening diseases like cancer, heart problems, brain disorders and problems associated with central nervous system. Helps in differentiating between benign and malignant tumors. Helps in detecting if cancer is static or spread to the other organs. Helps in checking whether the patient is responding to the treatment. Helps to find if the cancer has returned post treatment. 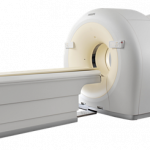 How can I find a best PET CT scan center in Delhi? PET CT scan is a highly advanced imaging technique used in radiology today. Setting up a PET CT scan center, needs approvals, certifications and lot of money. The centers need to be approved by the Atomic Energy Regulatory Board (AERB) to carry out the scan procedures. There are a certain set of regulatory requirements and radiation safety precautions that all the centers approved by AERB need to follow such as the technical configuration of the machine, qualification of the technicians and also the thickness of the walls where the scanner is stationed. It also takes the centers to be well equipped with high quality PET CT Scan machines which have a high resolution gamma camera. Most of the centers go for a 16 or 64 Slice (the latest in the market is 64 Slice system) machine with high power image generator. The center also need certifications from the ISO (International Organization for Standardization) and NABL (National Accreditation Board for Testing and Calibration Laboratories) for delivering consistent level of quality services and for maintaining technical competence for testing. Apart from the regulatory requirements of Radiation Safety Measures, protocols as per AERB, infection control and waste management also form an important part of the procedure. A well trained doctor, a full time certified radiologist and well trained technical staff also form an integral part of the scan center. All the above factors at place decide the quality of the scan center. 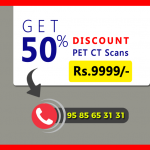 You can find the best quality PET CT scan center in Delhi with the help of Bookmyscans.com and book an appointment at best discounted rates. PET CT scan is said to be one of the most expensive tests in imaging. Currently, there are a very few well established hospitals and diagnostic centers that have the approval for PET CT Scanners. The cost of a full body PET CT scan procedure varies across centers. Some centers offer this test completely free of cost. The cost of PET CT scan in government institutions ranges from INR 2000 to INR 10,000. But when it comes to private institutions, the cost starts from INR 15,000 and may go upto INR 30,000 depending on the protocol. The cost of a PET CT scan in Delhi with a private hospital/diagnostic center varies between INR 15,000 to INR 30,000. With so many diagnostic and scan centers in place, it is very difficult for a common man to find the best quality center. 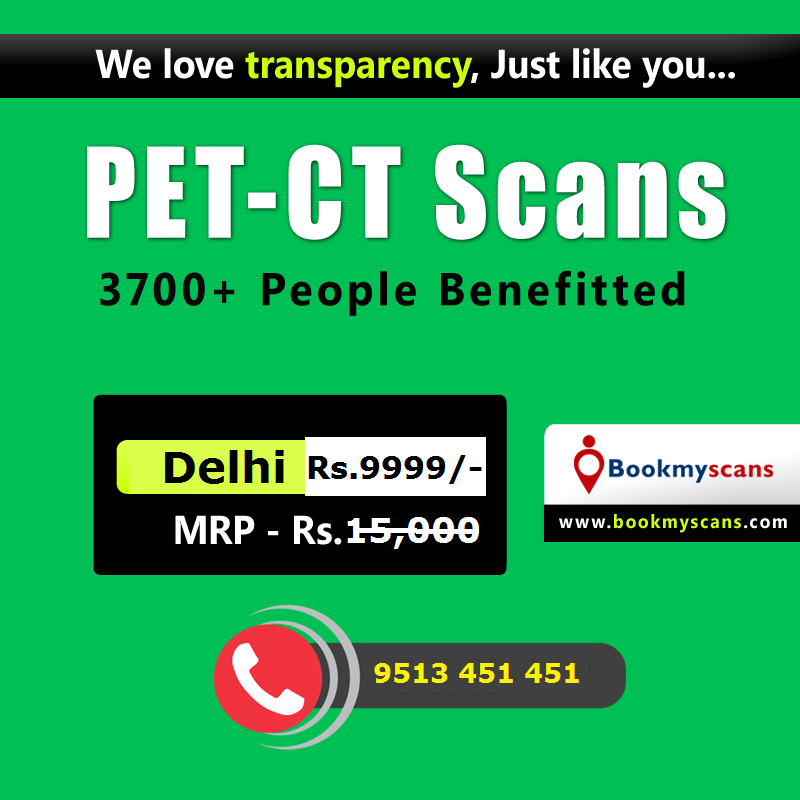 We at Bookmyscans, provide all the necessary information about the PET CT scans and different centers available near your location. We are one among the leading online appointment booking system in India and work with a motto to provide affordable healthcare to all. You can rely on the quality of the PET CT scan centers as we partner only with the center that are approved by AERB and ISO and NABL certified. We audit our partners periodically to make sure the quality of the services is consistent. You can also compare the price list with the other existing centers around before you book your appointments with us. We assure you the best quality results that can be easily downloaded when ever needed. We promise you the best discounts and scans at the best affordable prices. We are user friendly and easily accessible and our customer support is at your service anytime you need. Health tip: Cancer can be cured if detected early. Act preventive and get yourself checked regularly to keep a track of your body. Maintaining the right diet, 30 minutes of regular exercise and good amount of sleep will help you stay healthy.